Mr. Branson is the President & CEO of the National Association of Real Estate Investment Managers (NAREIM), an association of real estate investment managers that collectively oversee more than $1 Trillion in assets. Before joining NAREIM in 2011, Mr. Branson worked for over 25 years in commercial real estate, professional services sales, product innovation and marketing. 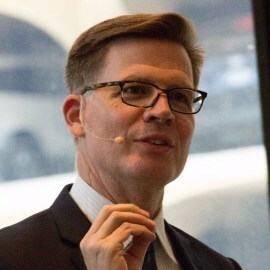 In addition to holding leadership roles at companies such as GE Capital Real Estate and Heller Financial, he consulted companies such as Jones Lang LaSalle, Wells Fargo, Wrightwood Capital, Sprint, CIBC and Fidelity. Mr. Branson is a frequent speaker on the changing landscape of commercial real estate for Universities, professional groups, on television and with TED.